A.) There will be no skill level limit. B.) A maximum of four players will be permitted on a roster; three of the four team members will participate in each team match. 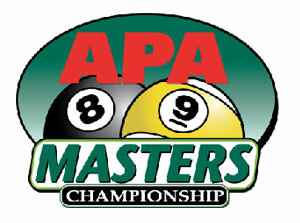 C.) Each individual match will be a race-to-7 and will include eight games of 9-Ball and five games of 8-Ball. Players will earn one point for each game won. A team can earn a maximum of 21 points per night. D.) The winner of the lag will have choice of game (8-Ball or 9-Ball) or the break. Once the format has been chosen, the entire set of that format must be completed before moving to the next format. E.) Masters 9-Ball – The player has won the game when he has legally pocketed the 9-ball without scratching. F.) Push Out – On the shot immediately following a legal break during games of 9-Ball, the shooter may play a push-out (see Definitions). Any ball pocketed on a push-out does not count and is spotted. G.) Coaching is not allowed. or strictly prohibit their use. I.) 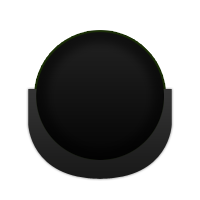 Masters 8-Ball - Per U.S. Amateur Championship rules, players are allowed to call their pocket instead of marking it. J.) Byes – 15 points are awarded to a team receiving a bye. K.) Forfeits – An individual player match is worth five points. L.) Playoff Matches are scored the same as in weekly play except a forfeited individual player match is worth seven points. In the case of a tie at the end of a team match, the tie would be broken by the number of individual matches won.